! !Special Offer!! 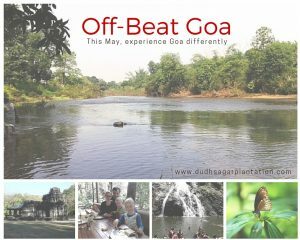 In the month of May, this exclusive small group package is available from Rs 9.850 per person in double occupancy (ex Colva/Benaulim, see below for other points of departure). Pick up at your hotel after breakfast. Arrive at the plantation in time for lunch. Take a rest. Enjoy afternoon tea before we take you on a tour of the plantation (about 45 min). After breakfast, drive to Kulem (15 min) to visit Dudhsagar Waterfall. Jeep ride through Bhagwan Mahaveer Wildlife Sanctuary to the base of the Waterfall (jeeps operated by the Dudhsagar Waterfalls Tour Operators Association). Cool down in the mountain waters and enjoy lush green forest around you. Continue to Tambdi Surla Temple from Kulem; we will parcel some food for the road. Breakfast at the plantation. Explore the area on a hike that will take you across the Dudhsagar river, along paddy fields and sleepy villages. You can also swim at one of the river crossings. Return to the plantation in time for lunch. Enjoy your siesta. After afternoon tea, there is time for a walk along the nature trail on the plantation. Drive to Chandor (app 30 min). Visit one of the Portuguese era heritage houses (app Rs 100), before heading back to your hotel in time for lunch (for guests returning to Margao or further South). Drive to Old Goa (app 50 min). Visit the Churches of Old Goa, before heading back to your hotel in time for lunch (for guests returning to Panjim or further North). Minimum two participants. Children age 6 to 12 pay 50% if accompanied by two paying adults. Further discount available for groups of 3 & 4 adults. 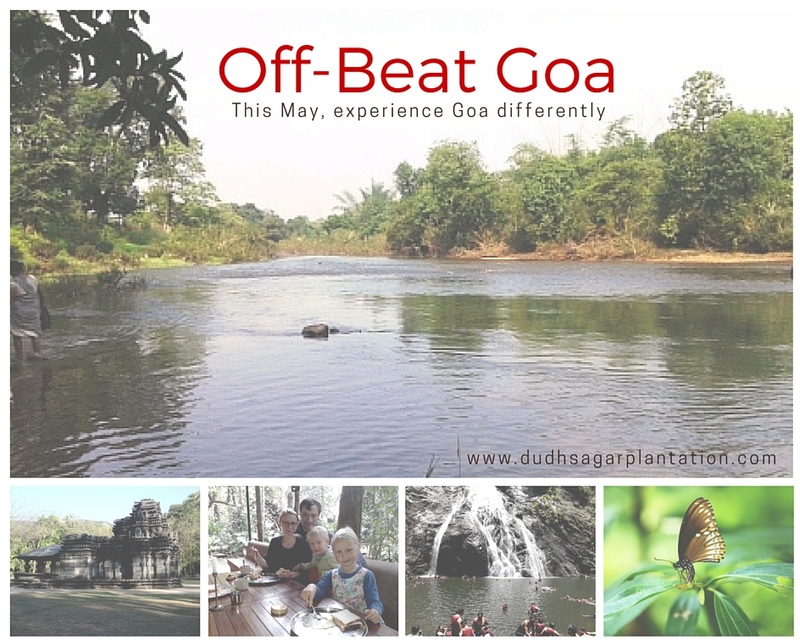 Email us at dudhsagarplantation(at)gmail.com for more info, availability and bookings or call +919765364456. Hurry, limited seats.